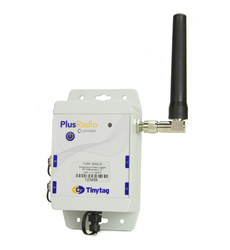 This data logger uses two of the Tinytag PT1000 probes for very low temperature monitoring. PT1000 probes monitor from -200 to +100°C, making this a versatile solution for freezers and cryogenic applications. The logger is waterproof and suitable for outdoor, industrial and warehousing applications. It sends information via USB or LAN receiver to the computer managing the system. To wire your own probe/sensor to this logger you can get the 5-Pin Plug (ACS-9703). PT1000 probes are suitable for very low temperature applications such as freezer and cryogenic monitoring.